This post is the third part in a series about Check_MK and vSphere. In the second part, I showed you the options for monitoring an ESXi host without using vCenter Server. In this post we will explore the options for monitoring a vCenter Server on Windows and also the vCenter Server Appliance (VCSA). For this POC we have a vCenter Server 6.0 U2 (build 3634793) on a Windows Server 2012 R2. As this is a normal Windows server, I installed the Check_MK agent for Windows and added the host to Check_MK. For the property Agent type, select “Check_MK Agent (Server)”. By default the Check_MK Windows Agents presents – without further tweaking – a lot of information; CPU and Memory utilization, Disk I/O, status of the filesystems, status of the Network interfaces and many more. Now it’s time to reveal the vSphere options. We follow the same procedure as we did for the ESXi host. In the WATO configuration go to Host & Service Parameters \ Datasource Programs and select Check state of VMware ESX via vSphere. 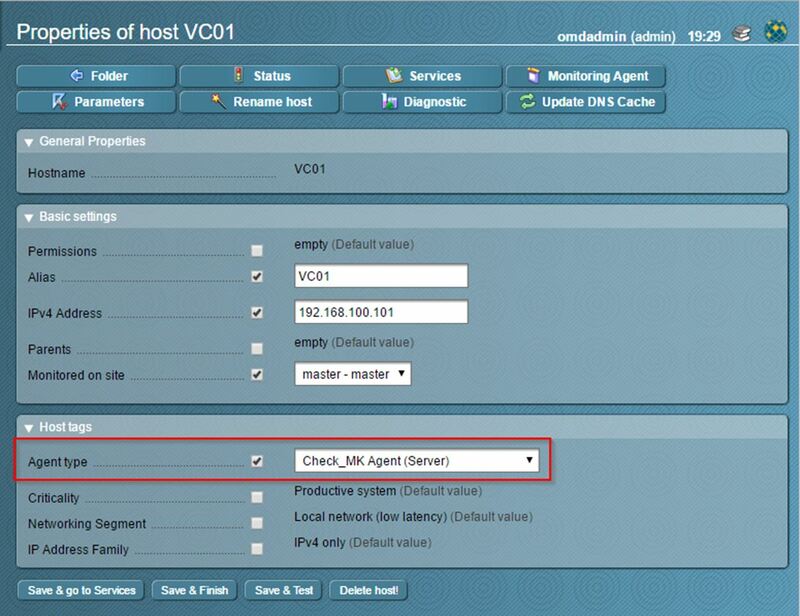 Now create a second rule for the vCenter Server, start with providing a descriptive name. This post is the second part in a series about Check_MK monitor and vSphere. In the first part Check_MK was introduced and some basic Installation and Configuration was explained. According to the documentation, for monitoring VMware ESXi and vCenter Server, Check_MK has implemented a plugin that uses the vSphere API for retrieving information. This plugin is much more efficient than versions based on the Perl API. So let’s start and see what can be revealed. To get a clear understanding of the various options, I will perform a step-by-step configuration instead of ticking all options at once. The first step is to go into WATO and add an ESXi host. Under WATO, choose, Hosts and New Host. You must at least enter the Hostname and an IP address, the Alias is optional. Under Agent Type place a tick and select “No Agent”. At this time, the result is not very exciting; the ESXi host will be pinged. Infrastructure monitoring is essential to carry out proper System Administration. Infrastructure consists of many components, starting with the basics such as server hardware, network components, storage, uninterruptible power supplies, backup equipment, but also environmental factors such as temperature and air humidity in server rooms. Apart from understanding the hardware, software is the next layer. Starting with Operating Systems; monitoring of resources such as CPU, memory, storage, network, state of essential services etc. Next level is applications and chained applications. Examples, monitoring mail queues of a mail server or databases from a SQL Server and so on. Today, many monitoring products are available; many of these are tailored to special purposes and don’t cover all aspects of an Infrastructure. I have noticed in recent years that many organizations are searching for a single product that can be used for monitoring as many components. Because nowadays most organizations run workloads on virtualized infrastructure, this means an extra challenge for the monitoring software. Years ago, when I worked as a Sysadmin and virtualization was in a very early stage, my favorite monitoring software was a combination of the following products Nagios, Cacti and an advanced Syslog server. Nagios has its origins as an Open Source product. Due to its open source nature, there are many products derived from Nagios, examples; OP5, Opsview, Groundwork, Check_MK and many more. 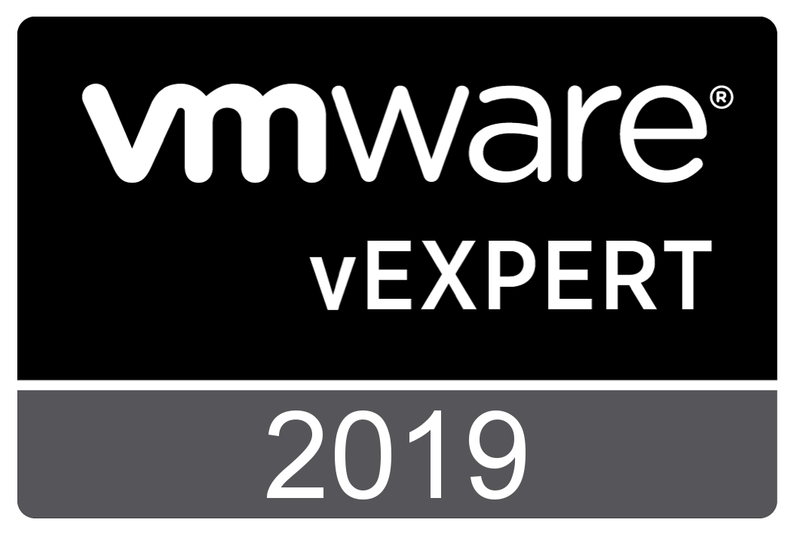 Some time ago Check_MK caught my attention, mainly because of its versatility and its ability to monitor diverse infrastructure including VMware vSphere. 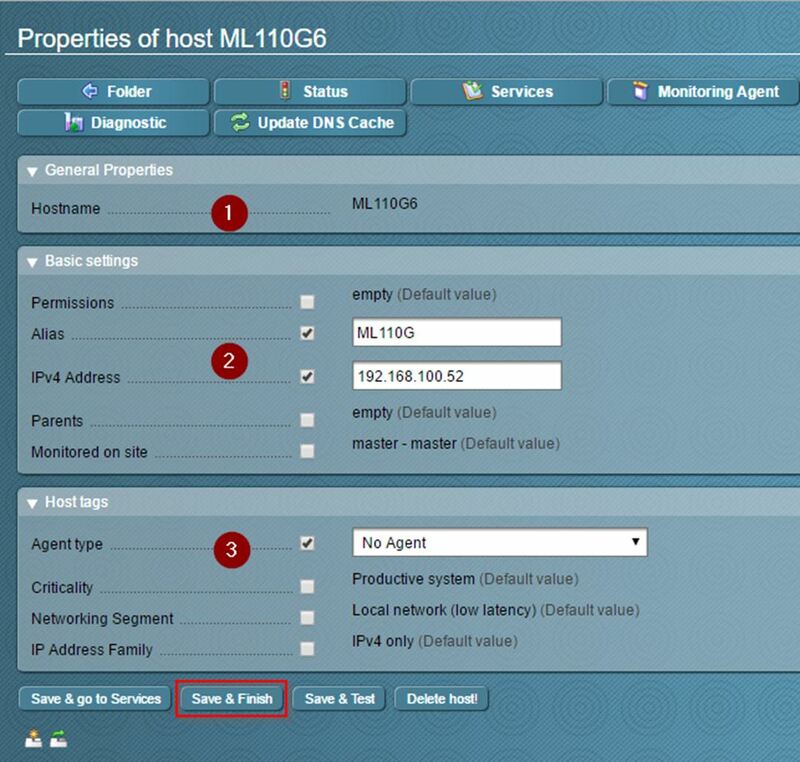 In this and subsequent blog posts, I will investigate the potential of Check_MK, in particular the possibilities to monitor vSphere and other VMware products. Since there are already many excellent articles written about the installation and configuration I will not repeat these steps. Where needed, I will include references to articles that I used to build my Proof-of-Concept and issues that I encountered. You are currently browsing the Adventures in a Virtual World blog archives for August, 2016.